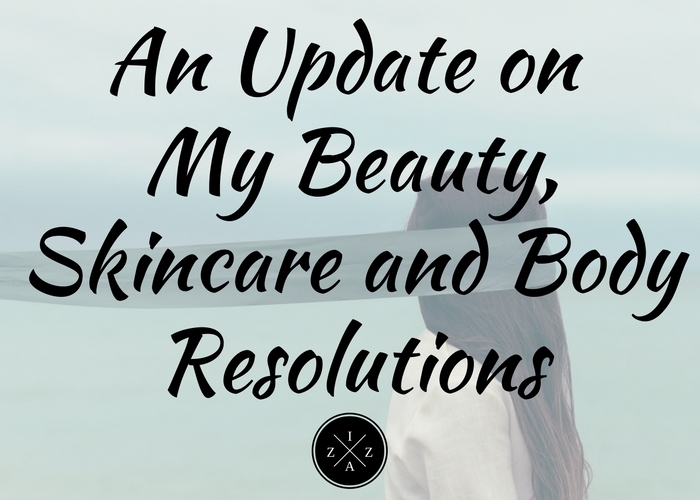 Last year I created a post on my beauty, skincare and body resolutions. I revisit the post and am so happy of the changes I was able to implement in my life at the moment. Today I will be giving you a quick update on how things are going. 1. I will now cleanse, tone and moisturize day and night. These classic trio when it comes to keeping the best face forward is something that I want to become a habit. I finally follow a day and night skincare routine and I can't be anymore happy. I have something to look forward to as I wake up in the morning and before I sleep at night. I detailed the products and procedures I do in my post: My Current Complete Day and Night Skincare Routine. 2. As an add-on to my three step face care, I will exfoliate every Sunday, Tuesday and Thursday. I love exfoliating and was able to follow the schedule I set above. I am still a big fan of the St. Ives Apricot Scrub because its so gentle and refreshing on the face plus it smells very nice. I actually use masks now every Monday, Wednesday, Friday and Sunday to pamper my face. I saw some new sheet masks at Watsons which I love to use on days when I just want to snooze out. I also use the Queen Helene Mint Julep and I love it. It gives this tingling sensation on the face and instantly cools the area. I primarily love how this mad mask tighten my pores and provides me with a brighter complexion every use. I am bad in this resolution though I discovered Quick FX Eyelift Cream which I currently use if and then I remember. 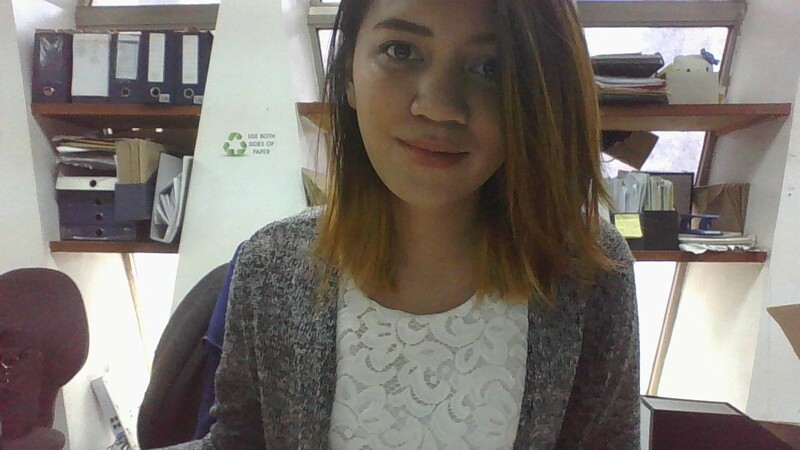 I think there's no more cure on my eyebags other than surgery. What I want to invest now is a good concealer that can lift and brighten my undereyes. So far I only have trustee Naturactor with me. YES!!! Ever since I introduced sunscreen on my beauty routine I notice that the condition of my face is way better. I still use the Nivea Sun Whitening Immediate Sun Protection Collagen Protect with SPF 50 PA++ which I bought during the Nivea 50% Off Big Sale. I also have a detailed review of the sunscreen you can read HERE. Using sunscreen is now a necessity for me. I can't leave the house without it. Fortunately the Nivea Sunscreen lasts for a lifetime. YES!!! Again I follow a night routine nowadays so removing my makeup is the first of the step I do before bed time. I love micellar water cleansers like the Biore I bought before. Now I'm using the Bifesta Eye and Lips Makeup Remover and soon I plan to buy the Maybelline Micellar Makeup Remover because I heard a lot of good stories about it. This is a so-so resolution for me. 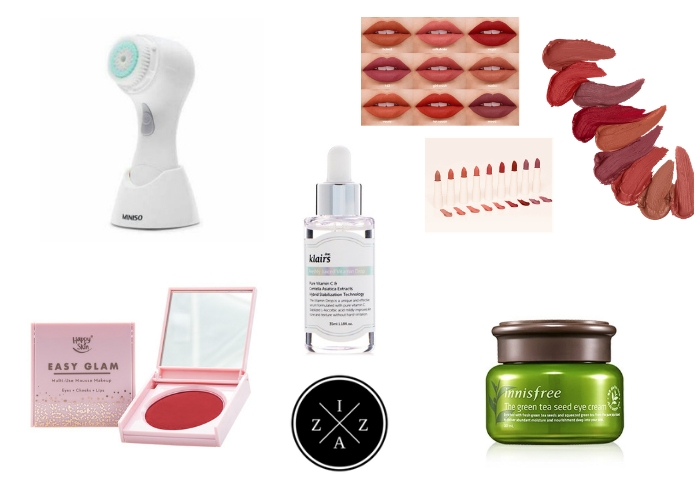 I did purchase lesser items for 2016 since I make it a point to focus on products I really like and will totally use. I stopped buying makeup just for the sake of buying it. Now I plan and research first what's worthy before actually buying. However, I have days when I buy additional makeup even if I still have a ton on my "Waiting List" bin. My bad. I just can't help myself from buying makeup especially matte lipsticks. Funny how I'm not a lipstick person before. Achieved! So far my skincare routine for the body is solid and I won't change any as of the moment. Yes! I splatter lotion day and night and I love it. Yes! I am mixing my Human Nature Sun Flower Oil with Nivea Cream and use it on my arms and legs for added moisture. I will look extra shiny but its all worth it. The morning after my skin feels so soft and smooth. I bought a body scrub from Moist which is a mineral salt one and I love using it thrice a week. Its not messy to use plus I can see dead skin cells going away. Sometimes I also use my all-time favorite Asian Secrets Body Scrub since is gentler and easier to apply. 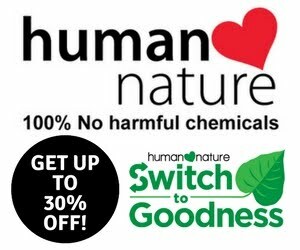 The Human Nature Sun Flower Oil is a big revelation for me when it comes to whitening dark spots and old scars. I am also glad I had the courage to try the Maxipeel Exfoliant Soap because it continually do amazing things on my skin tone. Still a big fan of CY Gabriel Soap in Special Pink plus Belo Intensive Whitening Soap for effective skin whitening. I've been drinking a lot of water ever since I was diagnosed with Urinary Tract Infection. I continually track my water intake on my Bullet Journal though I sometimes miss one the 7 to 8 tall glasses goal. I stopped drinking any vitamins and will still see to it when will I get back this resolution. Fail and will definitely stop. My sleep is changing every day depending on how tired I am or if ever I still want to work on the blog. As much as possible I want to be asleep by 11pm and I did set a night routine to make sure I follow the said schedule. For morning I am better when it comes to waking up earlier than usual. I already have a body clock even on weekends which is nice. Overall my beauty, skincare and body resolution is a success. I am excited to set up new resolutions for the coming year. For now I will continue to commit to my plans in the quest of finishing 2016 strong. Thank you for visiting and reading my blog. Do you also have any beauty, skincare and body resolutions you'd like to share?